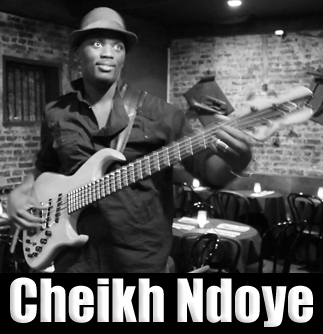 Cheikh is an accomplished musical artist whose music is a rich fusion of jazz and world music influences stemming from his West African heritage combined with his love for classic and contemporary American jazz. Originally from Senegal, Cheikh’s fascination with the diverse, rich sounds and rhythms of the local music scene started in his prime age. Early in his life Cheikh played the piano, and was attracted to many jazz greats. His love for Jazz put him on a historical path of investigation into this genre, again at quite an early age. After listening to Weather Report‘s 8:30 album, he was so captivated by Jaco Pastorius melodic and harmonic developments that he immediately fell in love with the bass guitar. He has played and recorded with great artists such as Russell Ferrante, Dave Weckl, Eric Marienthal, Karen Briggs, Lao Tizer, Dean Brown, Mike Stern, Leni Stern, Frederic Yonnet, and Randy Brecker a number of who appear on his first CD, an album entitled “ a Child’s Tale". 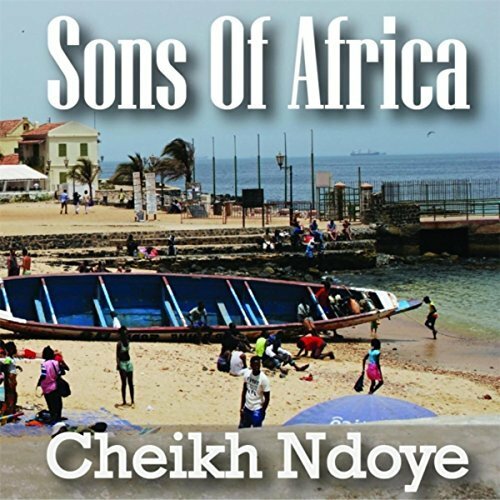 "‘Sons of Africa,’ the long awaited sophomore album of Senegalese musical artist Cheikh Ndoye has finally arrived! This new opus explores many sounds of the African continent including northern African Gnawa and Senegalese Sabar drums among others. 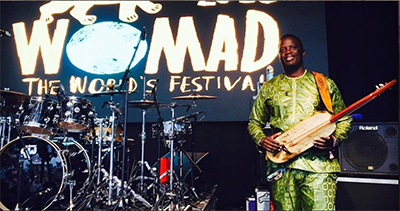 This tribute to his homeland follows Cheikh’s first critically acclaimed album, “A Child’s Tale,” which introduced him to fusion fans, not only here in the U.S. but around the world." 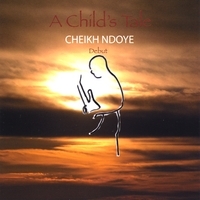 "Cheikh Ndoye broke on the scene not that long ago with his debut CD A Childs Tale. It featured a pretty amazing lineup including Russell Ferrente from the Yellowjackets and Dave Weckl and Eric Marienthall from the Chick Corea band just to name a few, and Cheikh most certainly held his own along with sporting some great compositional chops. " "Among electric bassists, those hailing from West Africa are among the most enjoyable to watch and hear. The very nature of that region's music gives the instrument room to breath and allows for lines that are almost as intricate as the melodies they support. The bass is not used only to provide a rhythmic and harmonic foundation, it sings. " Watch out for this young bassist. "He's just breaking onto the scene with his first solo CD featuring such luminaries as Russell Ferrante and Eric Marienthall, and fitting in like a glove with these jazz icons. Known as a "Richard Bona protégé", (quite a statement to uphold) he shows on this first effort to have tremendous potential in quite a few directions. Being an accomplished composer as well as a player, he represents yet another generation of young lions to be reckoned with. With a surprisingly defined maturity to his playing, coupled with his great sense of melody, Cheikh will become a familiar voice on the scene sooner than later." " is distinctive if just for the number of "name" artists who agreed to work with the young and amazingly technically proficient bassist. 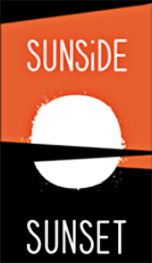 With Randy Brecker, Russell Ferrante and Eric Marienthal, among others, on hand to share their talents you know Ndoye must have a garnered a great deal of respect among his fellow jazz musicians. Originally from Senegal, West Africa, Ndoye has been in the United States for about ten years. Self-taught as a youngster, he has become known as a Richard Bona protege for the work Ndoye has done in studying with the master bassist." Festival Jazz De Saint Louis Senegal 'Cheikh Ndoye Bass Solo"